I love the candlewicking designs on the embroidery machines! 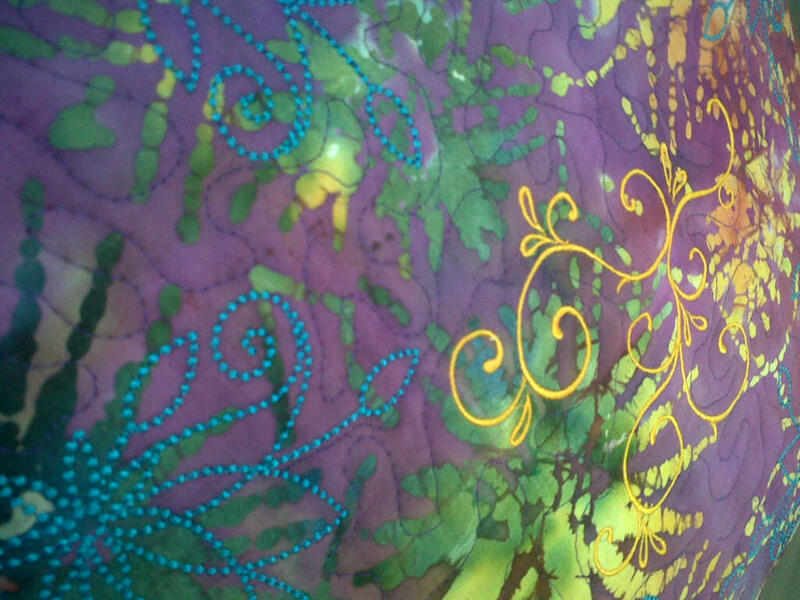 It is the same fabric I used in the Last Pillowcase. I used a candlewicking repeat design centered around a cute satin stitch Then I quilted it down. I’ll post more about it tonight!